Moving. It's the pits. Everything that can go wrong goes wrong. They'll have to bury me here because I'm NEVER moving again, not ever. No no no. It will all come together and then you'll be in your new home and life will be beautiful. Until the next time you get hit by a wave of non-dogeable balls. But that's life, isn't it. Like a roller coaster. Up, down. Screaming down the hills, panting as we climb then, at the end, laughing, crying ... "Let's do it again!" 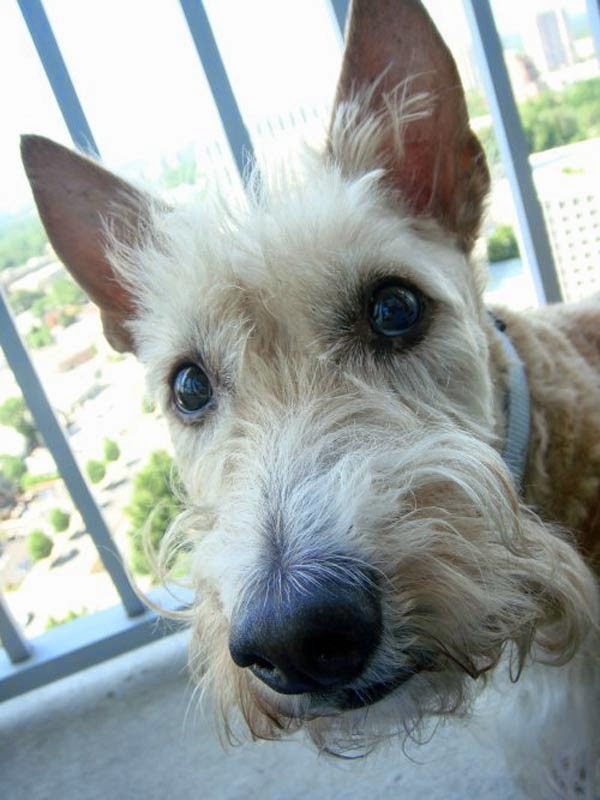 We are DELIGHTED to hear good news from V-E-T! I'm sure the rest of the info shared was charming and entertaining as usual, but my mind heard blah,blah GOOD NEWS ABOUT HEATHER & MR K, blah, blah. 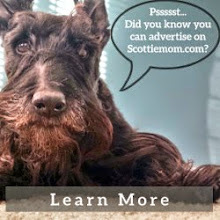 LOL Sorry, but I'm a Scottie Mom too! Sending love! Lucy's Mom and Lucy. PS...Celebrating Lucy's first Birthday this week. LOVE!!!!!! Welcome to life in the big city. All you have to do is look into one of their faces and you're set for another day. Some good news! We will still keep our paws crossed! Sorry to hear about the Scottie mobile,etc. It never rains but it pours! We are also keeping paws crossed for bed privileges. Haggis and Lucy McNaughty. A little bit of good news, is still good news! Make the most of it! Mr K...we can help you set up an Occupy Bed Movement, no problem! Just give us a bark. 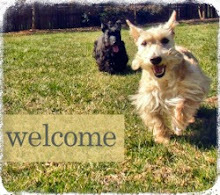 I'm hoping that the move will signal quieter times and bed privileges for Mr K and Heather - they're worth it! wonderful news about the test results! and we can't wait to see the sneak peek of your new digs! I'm glad you've got some good news. I'll keep my paws crossed for you.